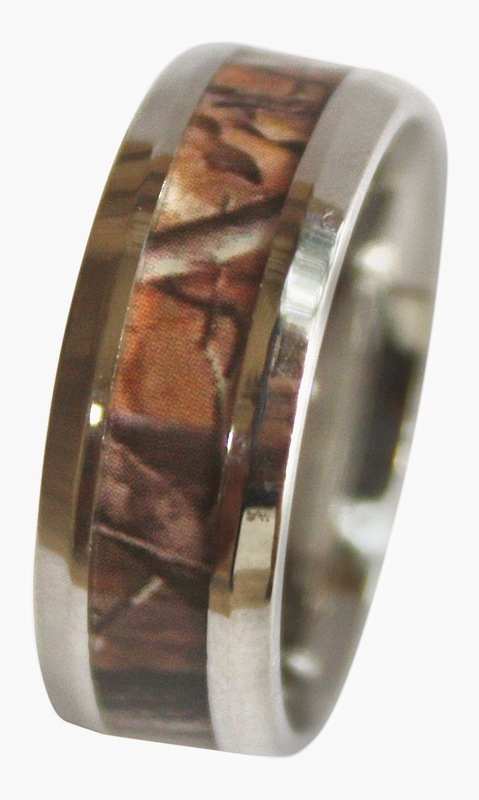 Amazing detail and high quality hunting camo ring with a comfort fit. For all of you Hunters, Fishermen, and outdoors people, this camouflage ring has striking detail and a woodland camo print that expresses your outdoor and hunting lifestyle to the T.
Made of the best quality surgical grade stainless steel, and a custom designed and sealed camo print, this ring speaks to the outdoorsman in you. 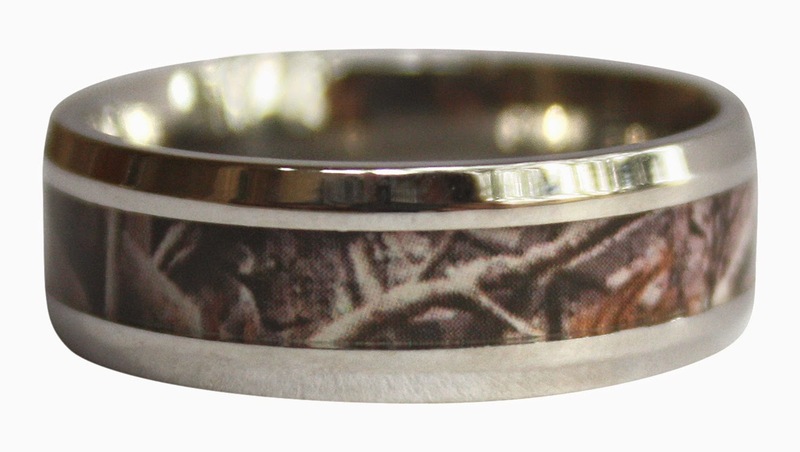 No matter what you day job, whether on the construction site, or behind a desk, always show off your true love for hunting and the outdoors with this camo ring. These rings make a great wedding or engagement band for him, birthday gift, anniversary gift to replace an old ring, or if he loses his ring, replace it with a beautiful camo ring! My husband hasn't worn his wedding ring since it broke years ago. This kind of camo ring would be a great purchase for him.